‘Tis the season once again for Santa Glug gifties, ice dragons, crafting binges, and more. Frostfell kicks off following an update on Thursday, December 10th (eta 8am PT/11am ET) and runs through 7am PT/10am ET on Thursday, January 7, 2016. Last year’s content makes a return appearance, and due to my insane finals week I’m going to just point you here for those older guides (the 2014 quest tracker is here). Frostfell won’t be on the TLE servers, but look for Frostfell trees in Freeport and Qeynos, where merchants will be selling seasonal items! Read more here. 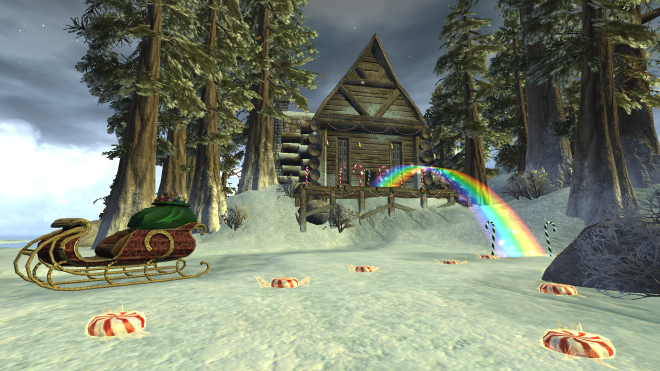 This year Frostfell has a hoard of new items—gifts, crafted, purchased, and craft rewards—which you can check out on Niami’s EQ2 Traders Frostfell write-up. There are five new quests, but only if you own the Terrors of Thalumbra expansion, as they require access to the city of Maldura. 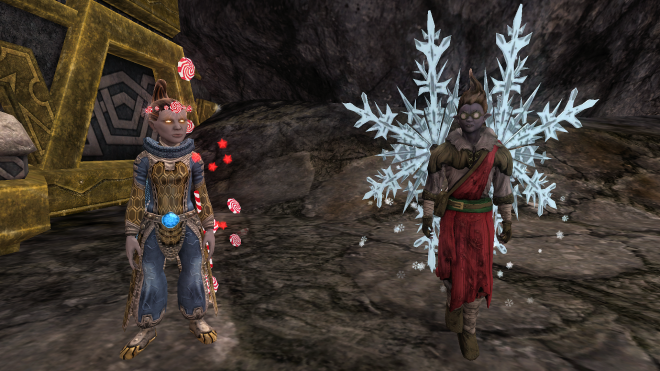 You begin the new series by speaking to Jarith Icewing at 334, -24, -1512 in the Frostfell Wonderland Village. Continue reading below for the walkthroughs. I have an overwhelming urge to ensure all 9 of my toons (including those of the female variety) obtain and don the Convincing Santa Glug Beard throughout the entire festive period. Thank you for this guide Cyliena! Does anyone know if you can use an invisibility totem to get to Sira? Most of my alts can fight their way through but some can’t.